After school, a little girl goes to Grandma's house, as she's done so many times before. Everything is always the same, but also always a little bit different. Together with the girl, we explore the house. Through the entry hall, into the kitchen — where it's time to pour a glass of milk — on through the lounge and study, up to the attic, downstairs again … but where is Grandma? Finally, the little girl runs out into the garden and hears the kind, familiar voice she's been listening for: Grandma! This is a simple story. 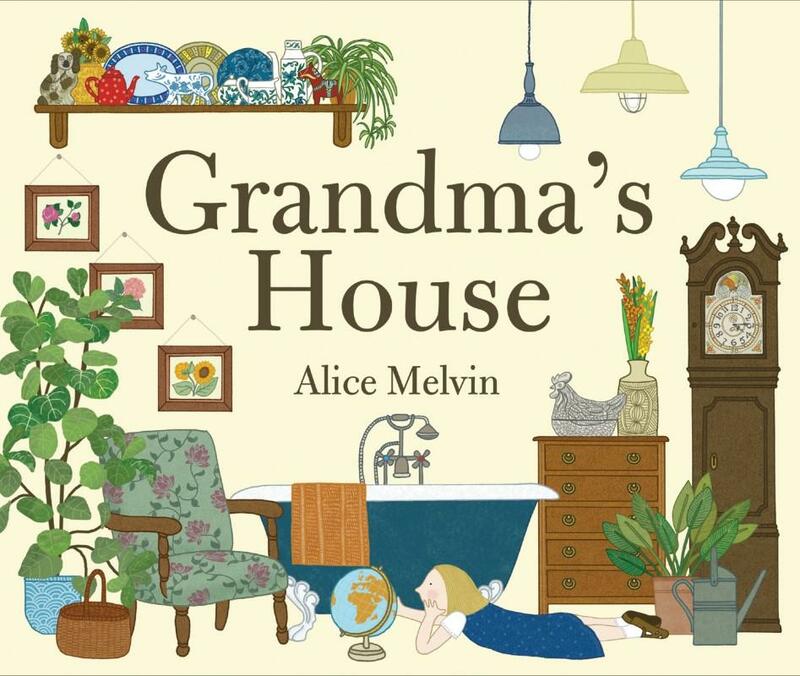 At its heart, it's a gentle exploration of all that makes visiting Grandma special. There are the little actions that the girl always does — spinning the globe to search for places she knows, stopping to look at the family photos on the wall. But the story is given an extra dimension through the beautiful illustrations and the stunning production values. Cutouts on each page give us glimpses of the next room. Flaps fold out to reveal other parts of the house (including a fantastic foldout that opens up to the attic, creating the shape of a house in the process). As we peek through cutouts and lift flaps, we become explorers too, sharing in the little girl's adventures. 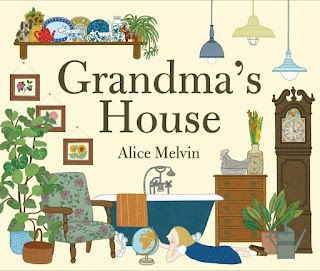 Alice Melvin is an award-winning illustrator and paper artist, who has produced several picture books that all incorporate cutouts and flaps. It's a distinctive, detailed style that makes for an interactive picture book experience kids will love.